Pre-Order Jurassic World: Fallen Kingdom Now! You loved it on the big screen and now is your chance to preorder Jurassic World: the Fallen Kingdom as it releases on the digital movie app MOVIES ANYWHERE on September 4, and Blu-ray & DVD September 18th. This is a sponsored partnership with Universal Pictures Home Entertainment. I remember going to see the first Jurrasic Park movie when I was in high school. I think I might have been on a date or something, I don’t really remember. I do remember the film and how delightfully scary and thrilling it was. It was the first of its kind, a dinosaur movie that was actually believable. I think that is why the movie did so well. They created a story that actually seemed possible and everyone was talking about it. Fast forward 20 years later… When Jurassic World first came out I was super excited to watch it with my son. He loves dinosaurs, and he thought the movie was amazing. I enjoyed watching Chris Pratt on the big screen like I often do. He brought a sense of humor to the story that was needed for a thriller of this magnitude. Now that both my son and I are hooked on the franchise, we have been anticipating the home release of Jurassic World: Fallen Kingdom and lucky for us we don’t have to wait much longer! 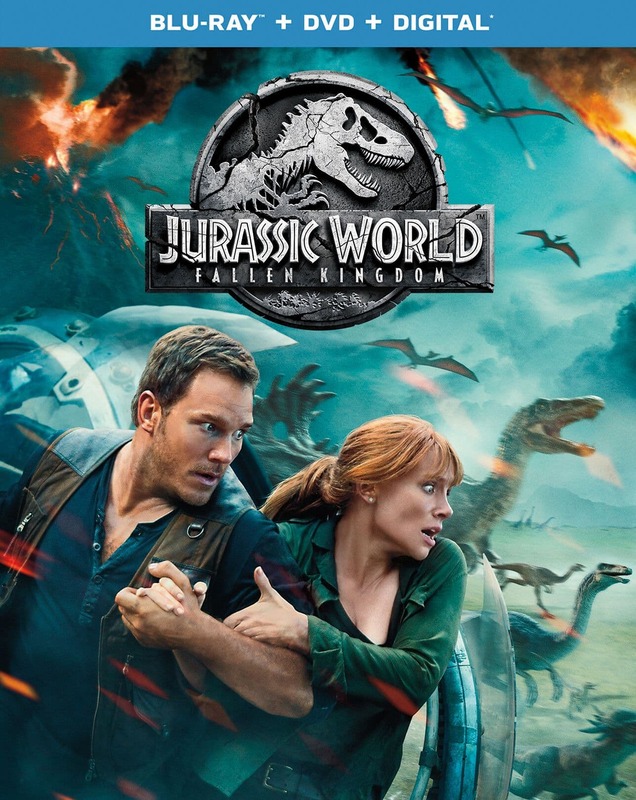 The Jurassic World series is one of the most captivating series in movie history. The newest installment builds upon the adventure with more dinosaurs than any other Jurassic film. 65 million years in the making Jurassic World: the Fallen Kingdom will delight you and give the thrilling adventure you have come to expect with all Jurrasic films. Get ready for the newest installment of the Jurassic franchise to come to your home theatre. Jurassic World: Fallen Kingdom arrives on Digital and via the digital movie app MOVIES ANYWHERE on September 4th and Blu-ray & DVD on September 18th. I love when movies are released on Blu-ray because they usually contain bonus content that you can’t see anywhere else and who doesn’t want to see some bonus content of Chris Pratt? 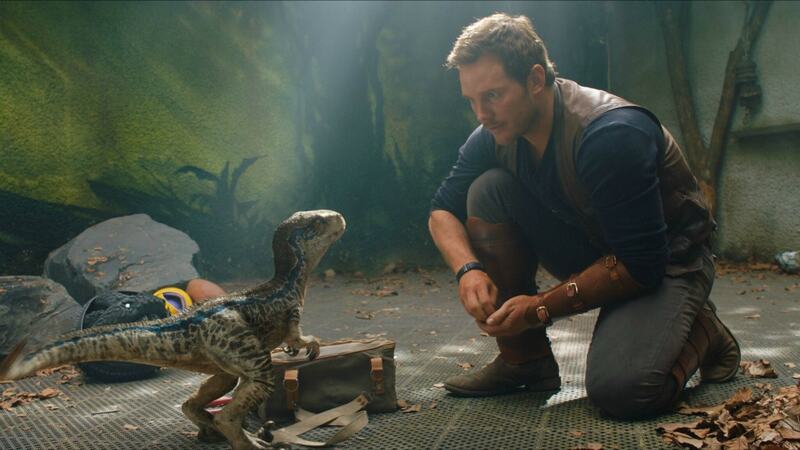 Jurassic World: Fallen Kingdom features over an hour of bonus content including Chris Pratt’s behind-the-scenes “Jurassic Journals” captured on-set. Pre-orders for this blockbuster movie have begun. Pre-Order your copy of Jurassic World: Fallen Kingdom now! If you are eagerly awaiting the release of Jurassic World: Fallen Kingdom like we are stay connected via their social channels and website!